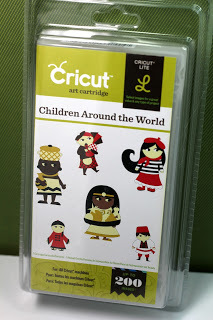 Today I have a cute little project to share with you that I made for Arya to give her Teachers at daycare. 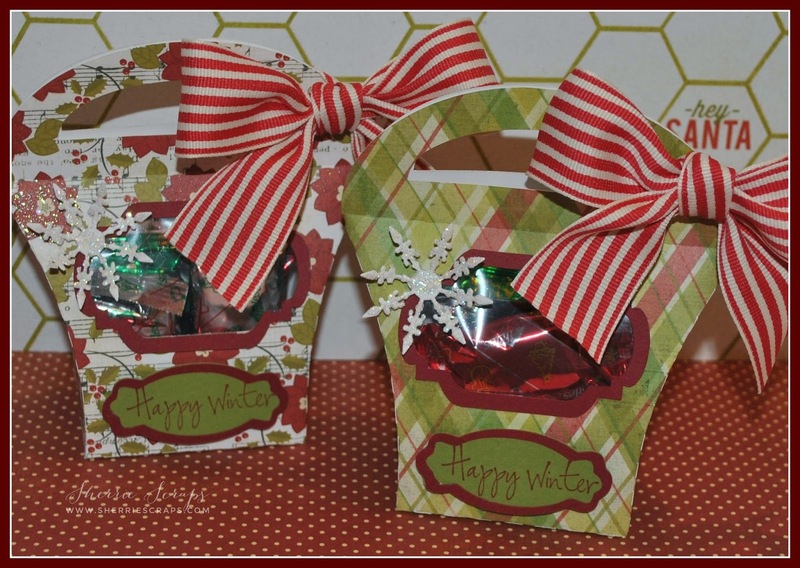 They are perfect for a quick little gift that you may need in a hurry...they went together rather quickly and turned out pretty cute! I started with the candles that I picked up at the store. 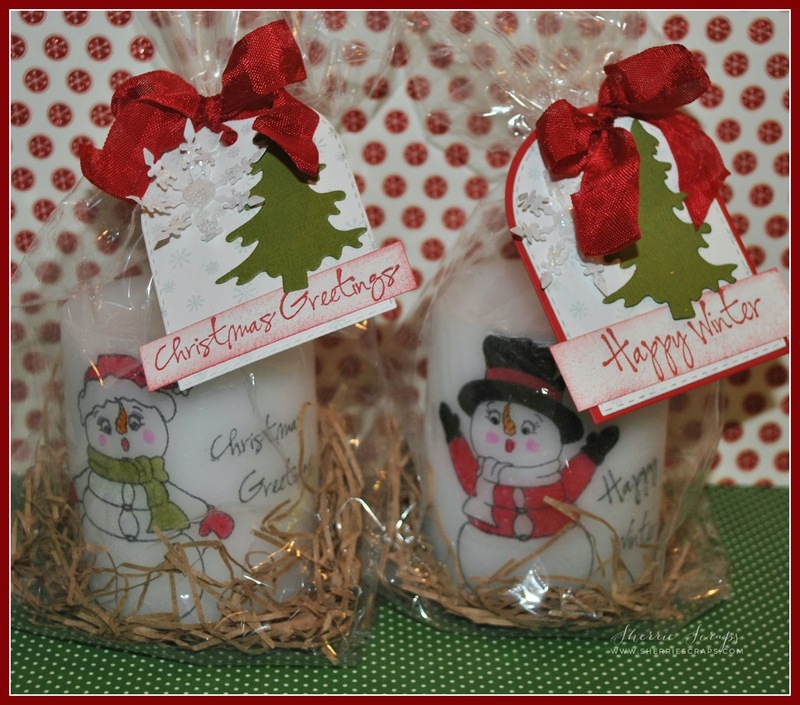 I stamped these adorable snowmen on tissue paper. After stamping them, I colored it with copics and fussy cut around them. 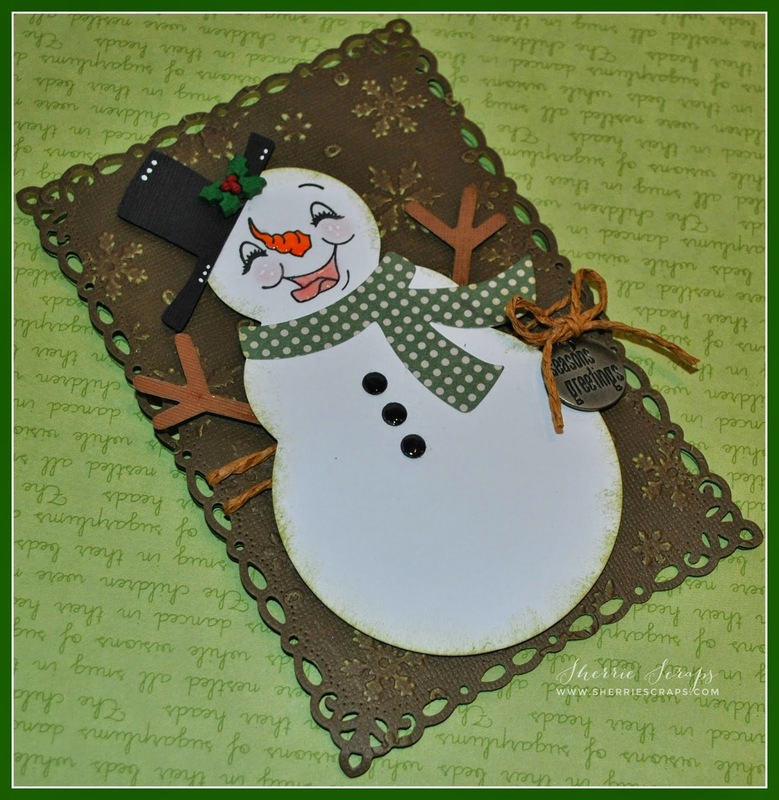 I use PK-154 Happy Dieting Snow People stamp set for the jolly snowmen. I then place them on the candle and laid a piece of wax paper over the image and heat set it. I then peeled back the wax paper and viola...done! I repeated the same application for the sentiment. 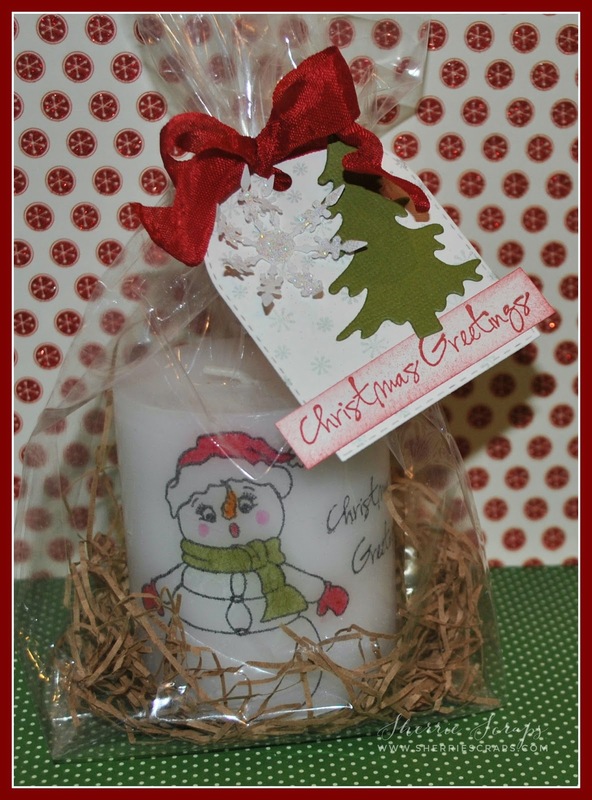 I packaged them up and added a coordinating tag. The tag is My Creative Time's Just Tags metal die. 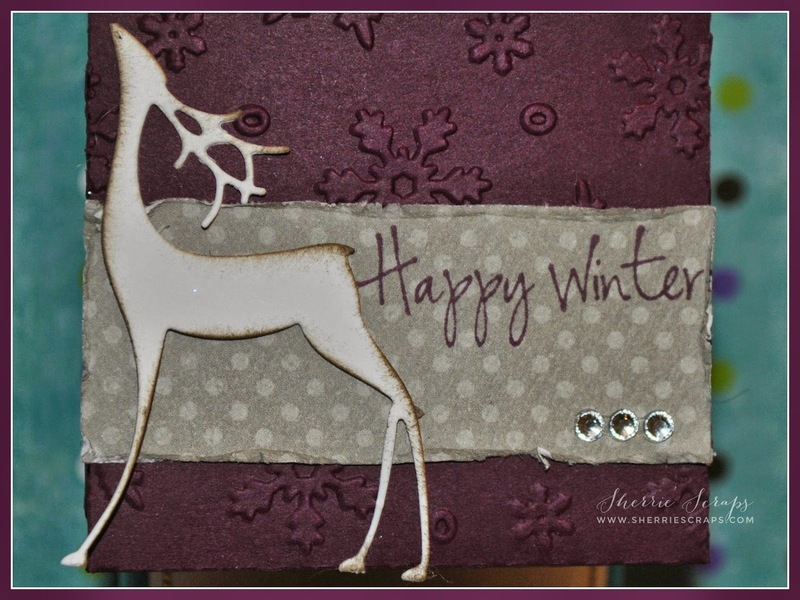 I stamped the sentiment with Sweet Stamps 8028 Happy Winter and 8025 Christmas Greetings. 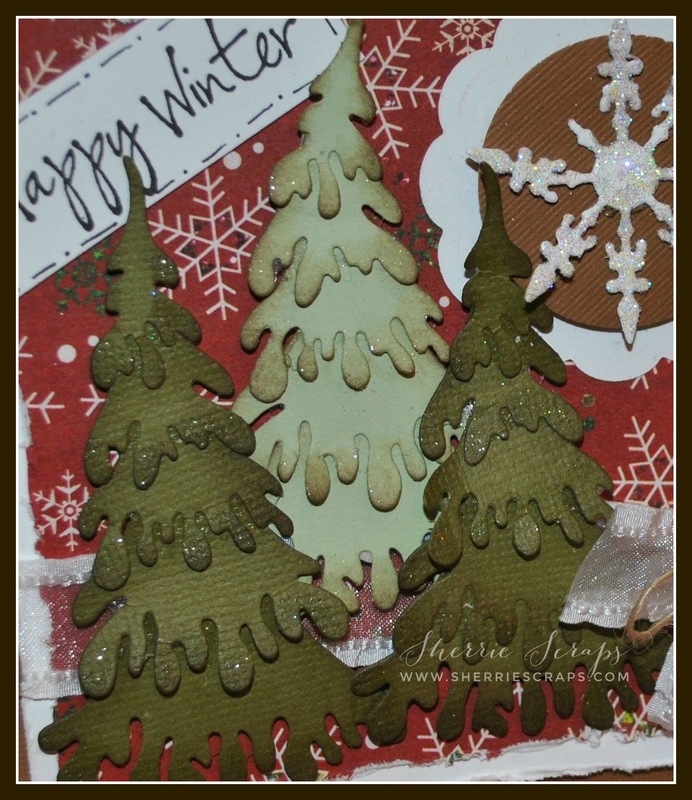 The tree and snowflakes are metal dies from the Sweet Stamps store that were cut and adhered in place. 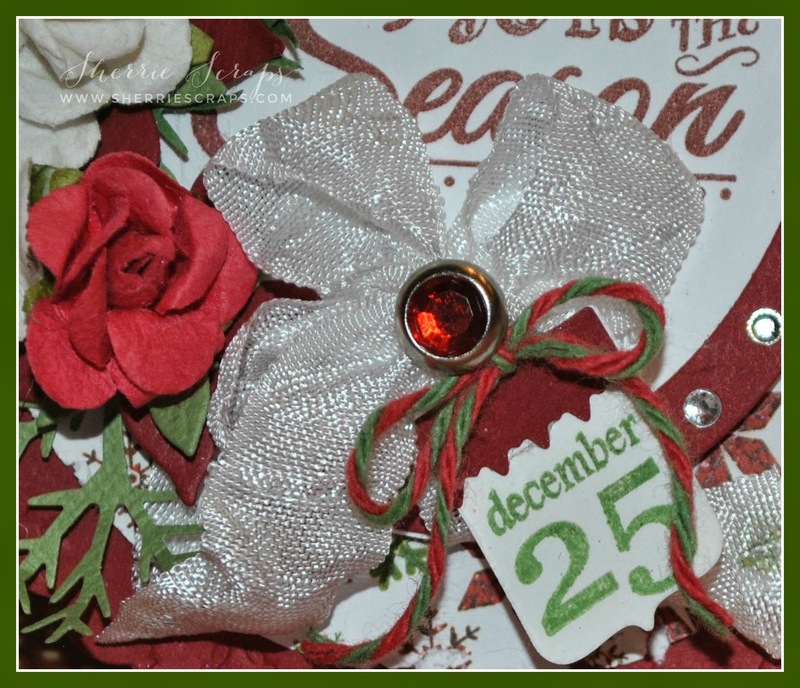 I finished by tying on a pretty bow using scarlet red crinkle ribbon from My Craft Spot. 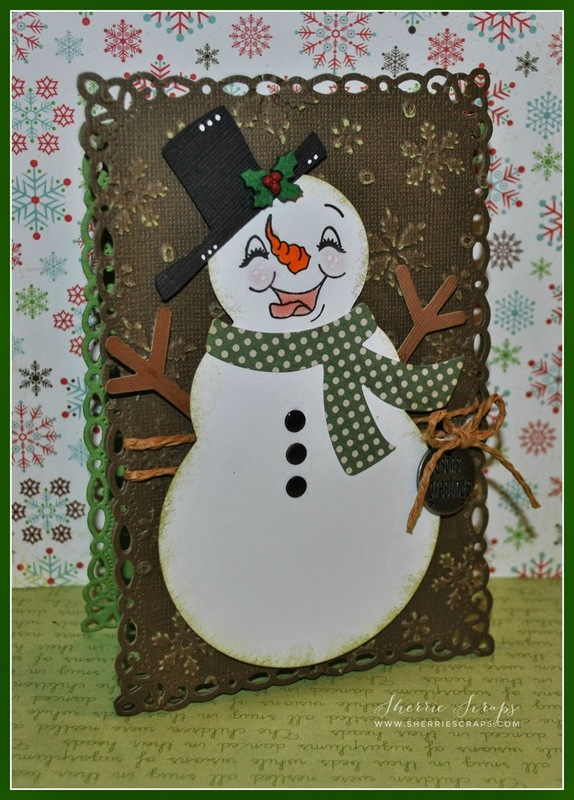 I am here today to share another Guest Designer project for Sweet Stamps. 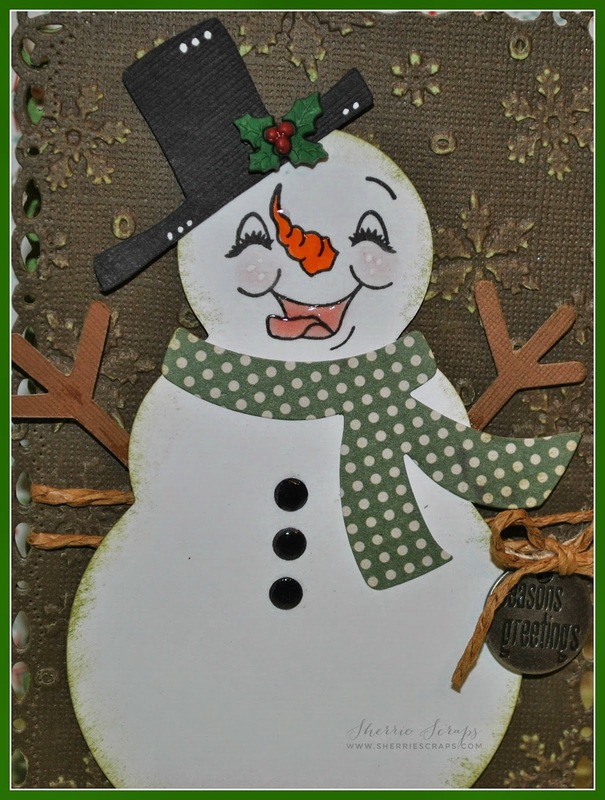 This will be my last post for Sweet Stamps~ I have had such a wonderful time designing with their stamps and dies! Thanks again for having me for the month of December! It was a blast! 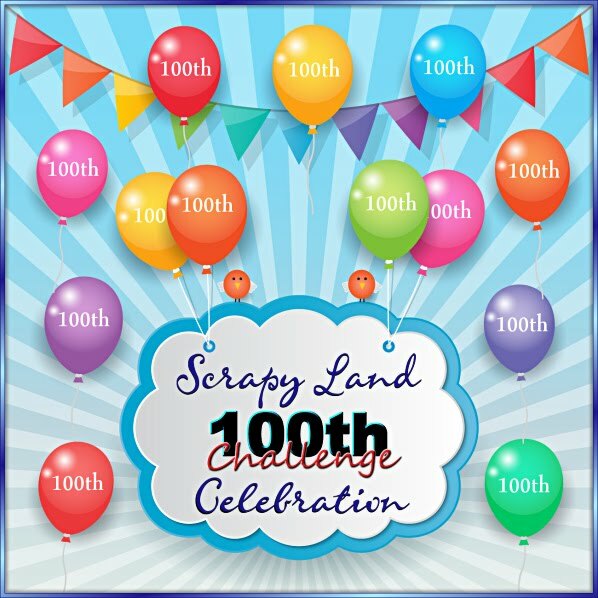 I hope you come join in the fun! My Craft Spot and cut them on my Cameo. 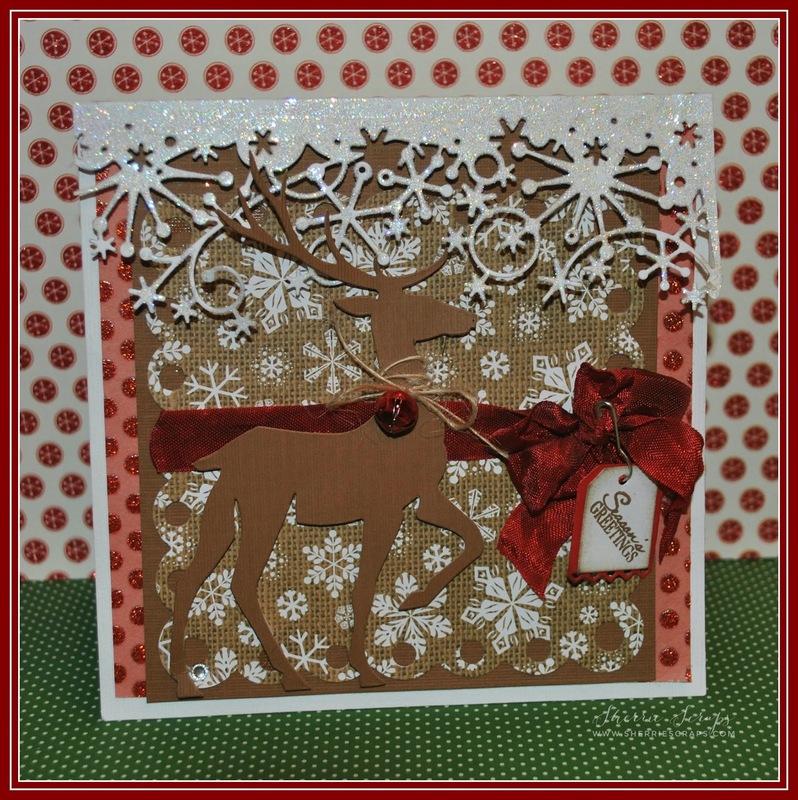 The pattern papers are from Heidi Swapp 12 x 12 paper pack collection. I added a piece of acetate behind the window so I could fill it with some yummy candy. After cutting and putting them together, I added a sweet label that I cut at 1" from the Art Philosophy cartridge. 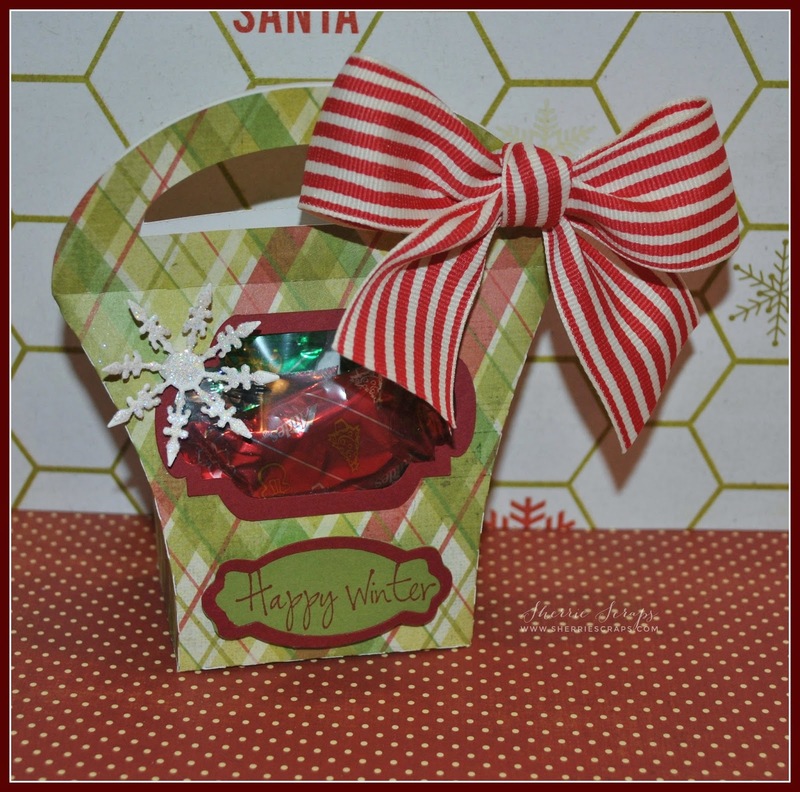 I used the 8028 Happy Winter sentiment and finished by tying on a pretty bow with ribbon from SU. I am happy to say I will be enjoying a day off from work to spend some time with my coffee buddies. 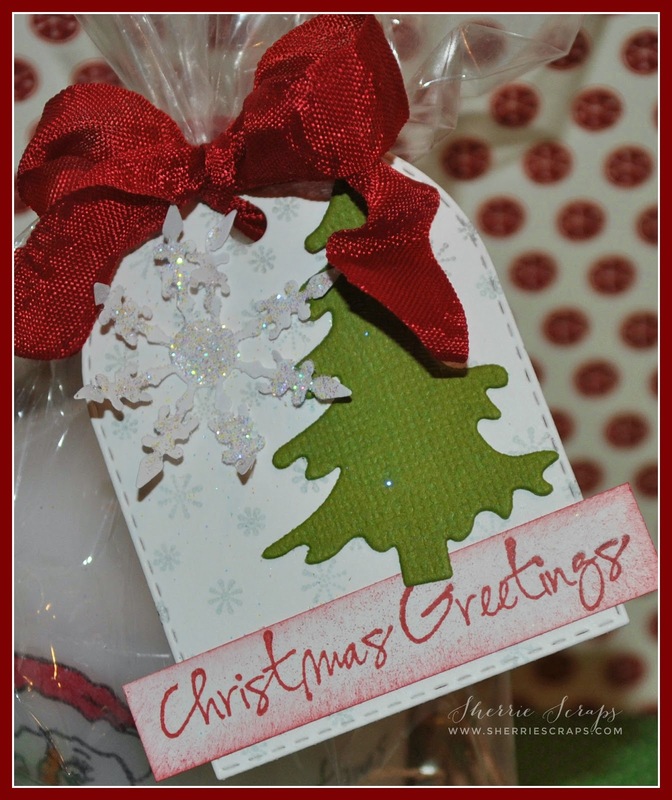 I also plan to do some holiday baking and finish up some gift wrapping. 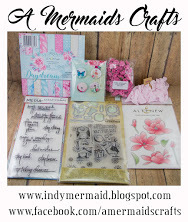 I may even have time to sneak in my craft room! I was asked to make a diaper cake for my daughters friend who is expecting a little baby girl in January. 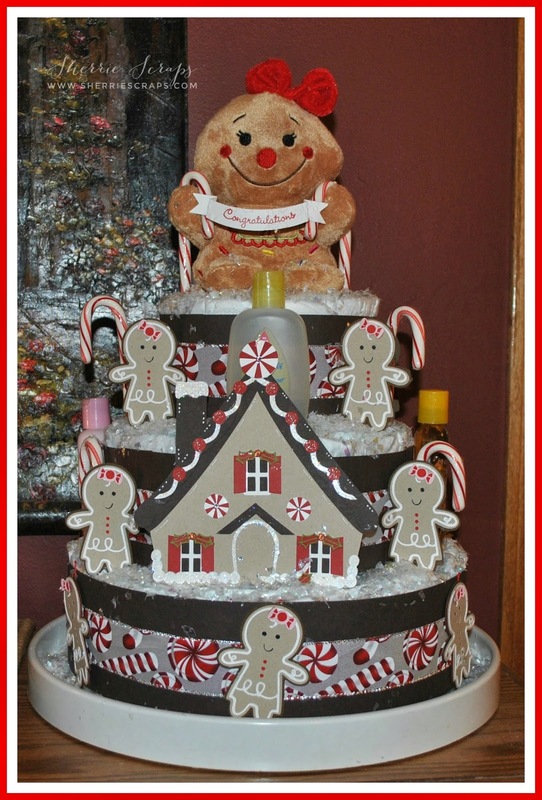 Her family was throwing a baby shower and wanted a diaper cake made to go along with a winter/gingerbread theme. 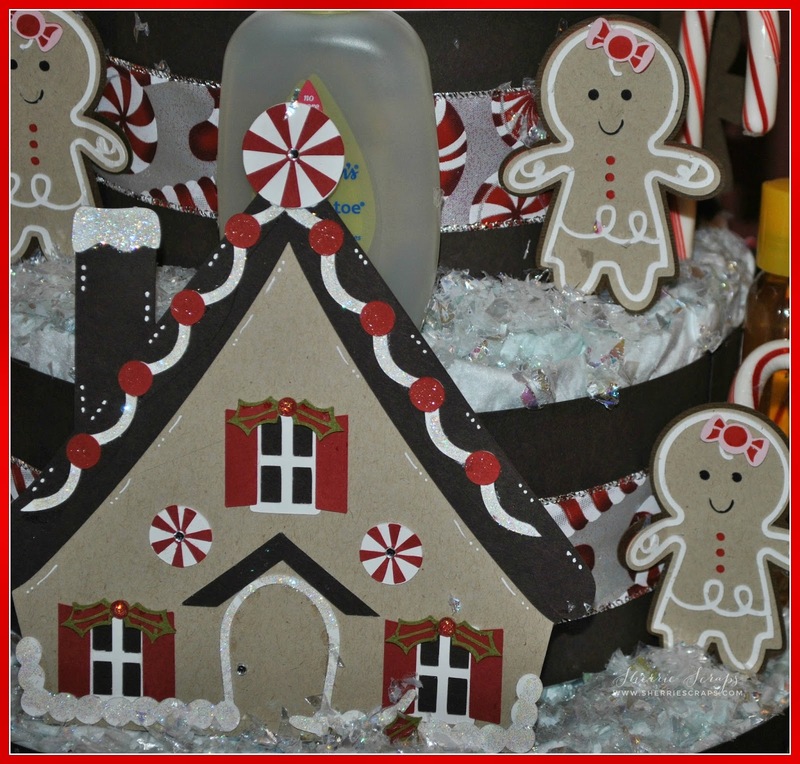 They planned to have a chocolate bar with hot cocoa, peppermints, candy canes and gingerbread cookies. The diaper cake was going to be the centerpiece for the chocolate bar. Cute idea, ha? I started with a box of Pamper Diapers and created 3 layers for the cake. There are several you tube videos for diaper cakes which is where I got the directions. You do need 2 bottles for the center and any type of baby supplies/toys for the outside. I used baby lotion, baby wash and baby shampoo and filled in with candy canes. I decorated the cake levels with brown card stock and then some pretty ribbon from Michael's. 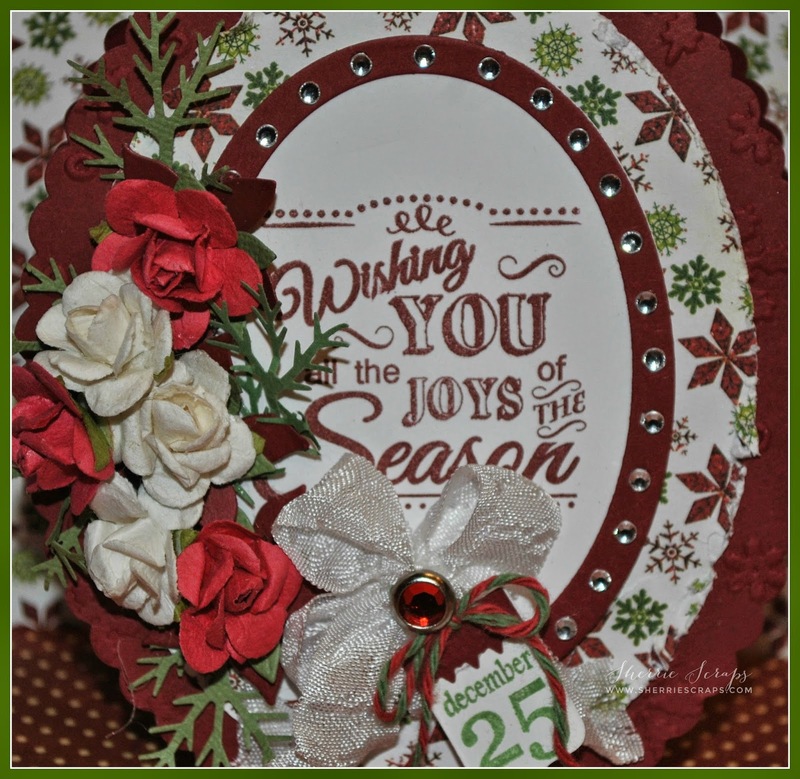 The gingerbread topper is holding a banner that was created with My Craft Spot's Ribbon Banners metal die and the sentiment is stamped with My Creative Time's Gift Card Sentiments. 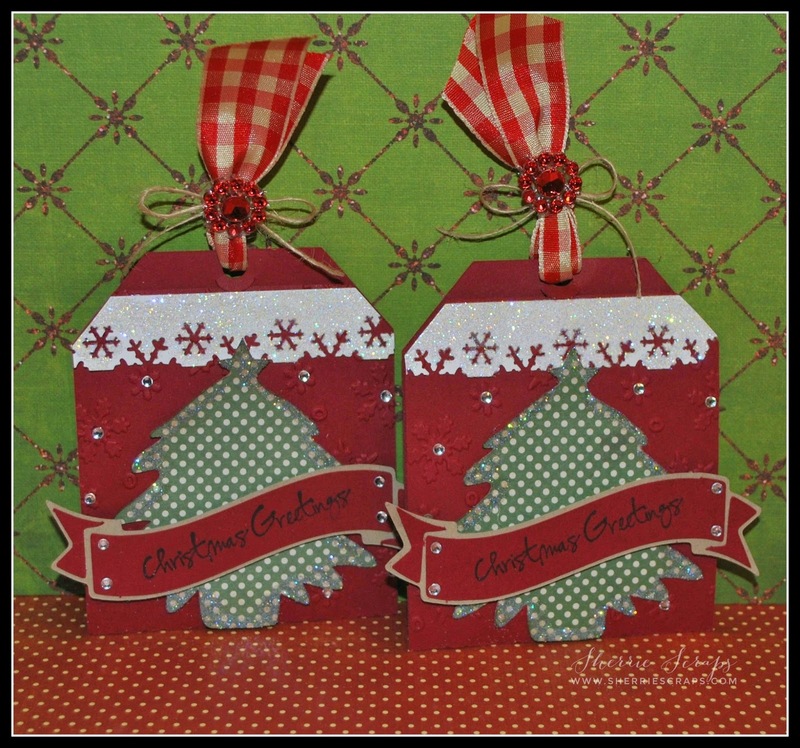 I have been a busy, busy with getting things ready for Christmas as most of you are. I have just a few little things left to do and then I can focus on baking. 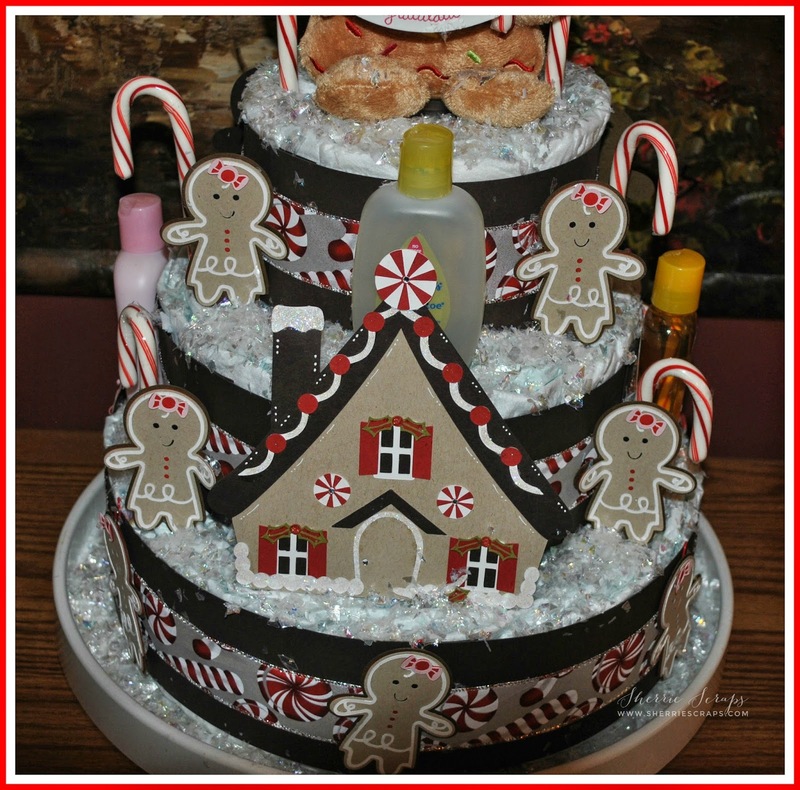 I don't know if you know, but baking is another one of my passions, especially holiday baking! I love to make up goody trays for work, neighbors, Christmas parties, etc! How about you, do you do a lot of baking for Christmas? 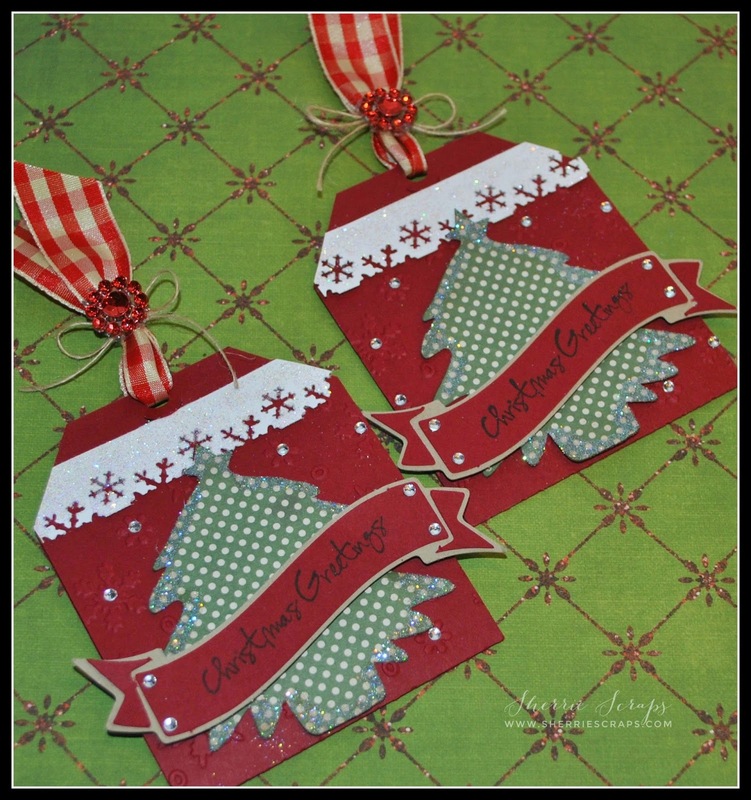 Today is one of my Guest Design days over at Sweet Stamps and I have a couple fun projects to share with you for their weekly challenge. Doesn't that sound like fun? 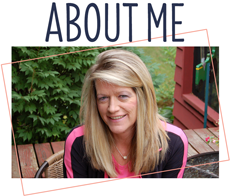 Come on and join in...would love to see your creations! For my project, I decided to make a few gift card holders~they are sure to come in handy soon with the Holidays right around the corner, right? 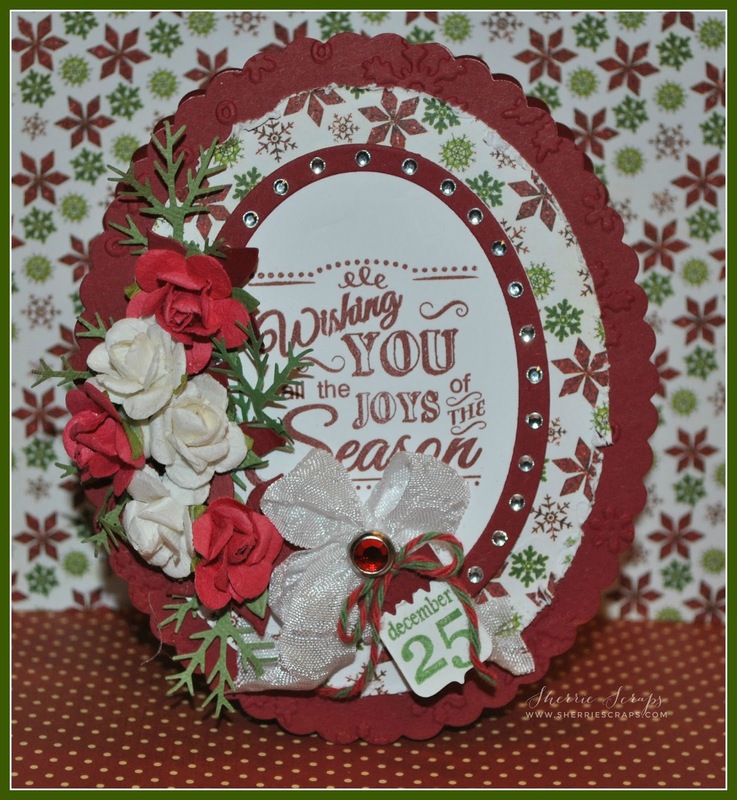 I found this gift card holder at the Silhouette Store, Design #50748 and cut it on my cameo. 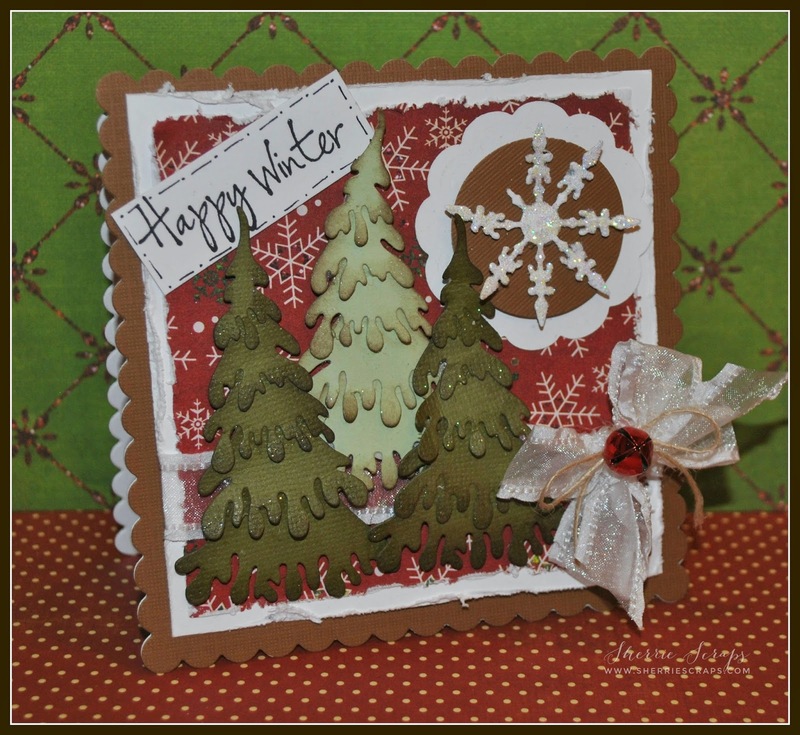 I used SU cherry cobbler and crumb cake card stock. 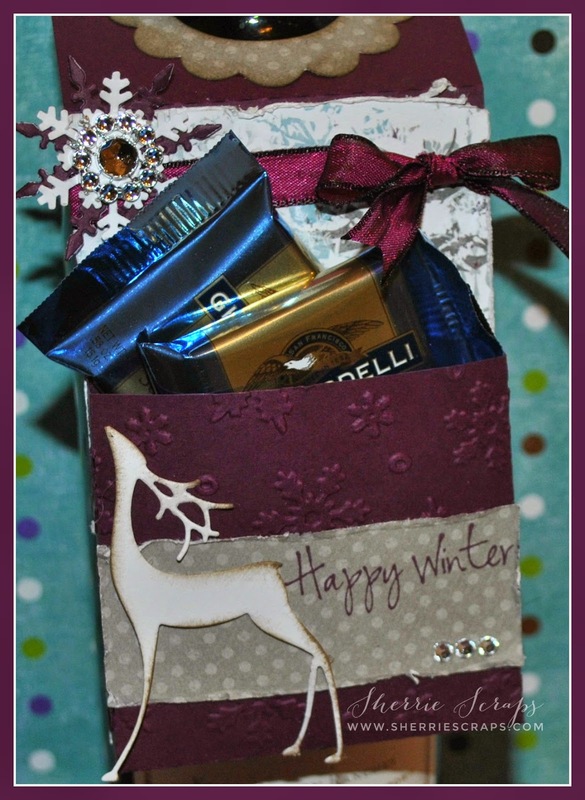 I embossed the holder with the snowflake folder from Darice and added fun little sparkly gems from Recollections. 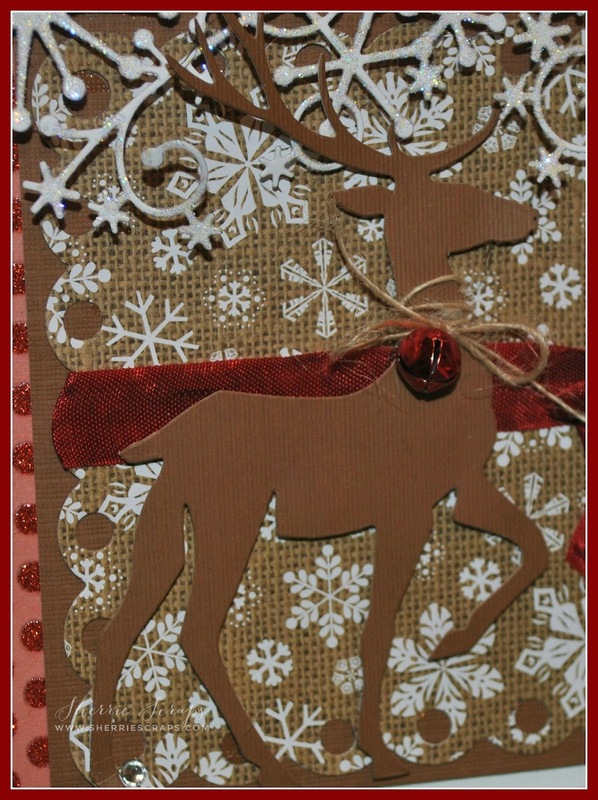 The snowflake border is created using the EK snowflake border punch and glittered with Sparkling Ice glitter. The tree also has a sparkly edge which again, I used Sparkling Ice glitter. 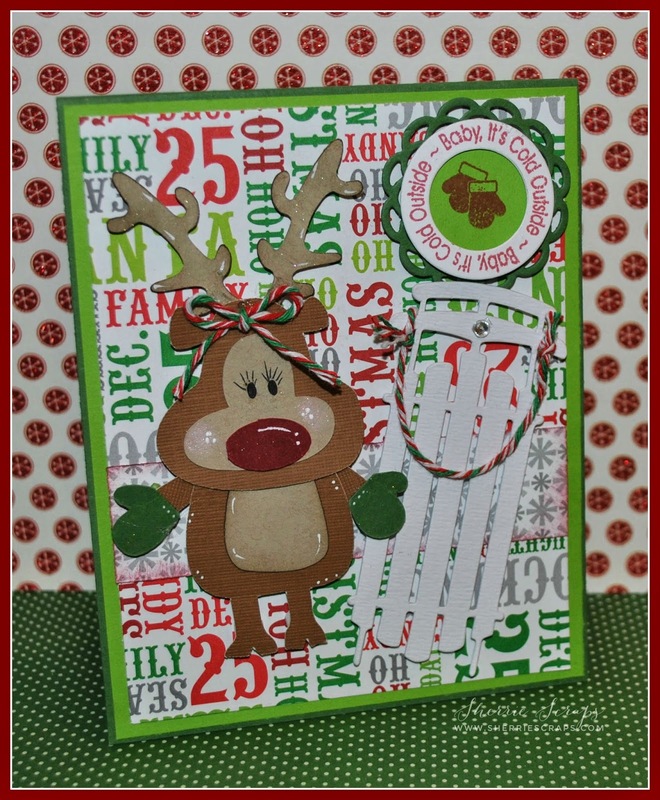 I stamped the sentiment with 8025 Christmas Greetings stamp set from Sweet Stamps. I finished by tying on some pretty gingham ribbon, jute and a pretty embellishment from my stash. 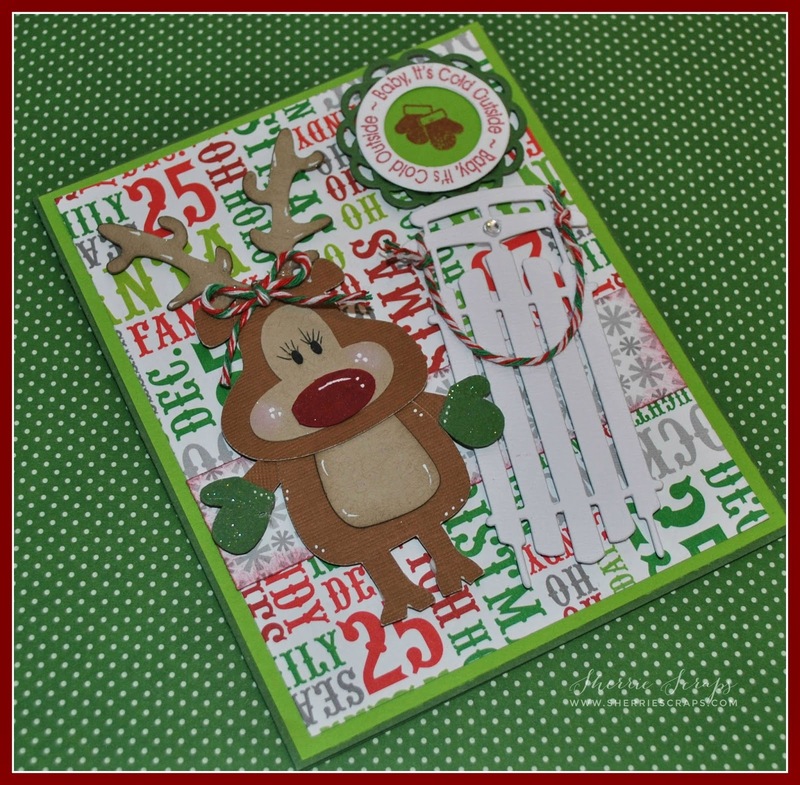 I started with SU Squares framelits die for the base of my card. The next layers are cut and distressed with the zutter DIA. The pattern papers is from Recollections~All is Calm collection. 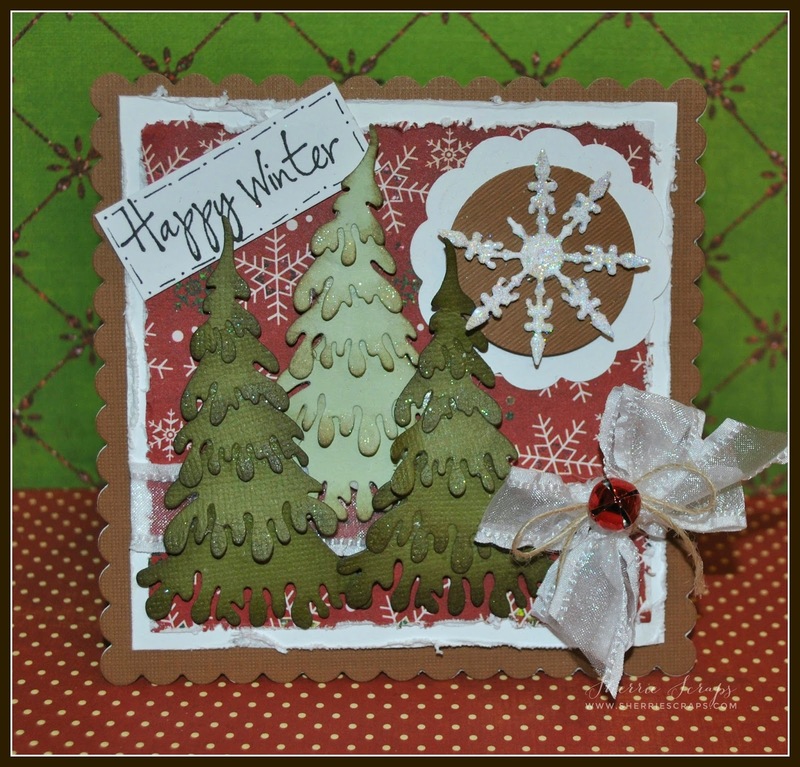 I used the IME026 Snow Covered Tree metal die for the tree's. 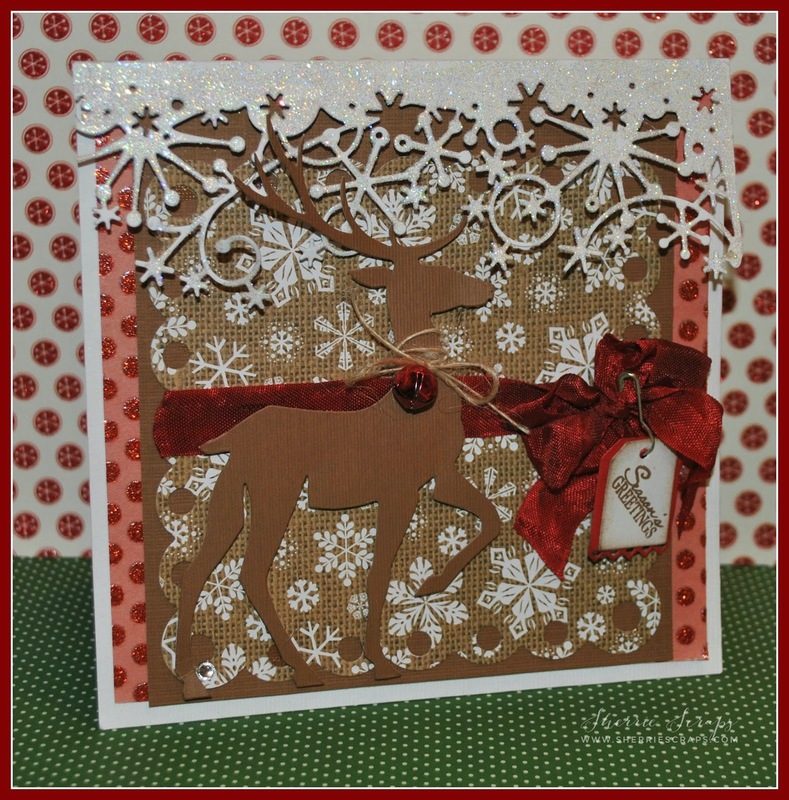 I inked around the edges with walnut stain, glittered the edges using the Wink of Stella pen for a sparkly effect and with foam dots, put them place. Pretty, ha? The scallop is from a SU punch which layered a 1" circle from the Art Philosophy cartridge. I then topped it off with this pretty 2019 Ice Crystal Snowflake metal die and glittered it with Sparkling Ice for a nice sparkle. 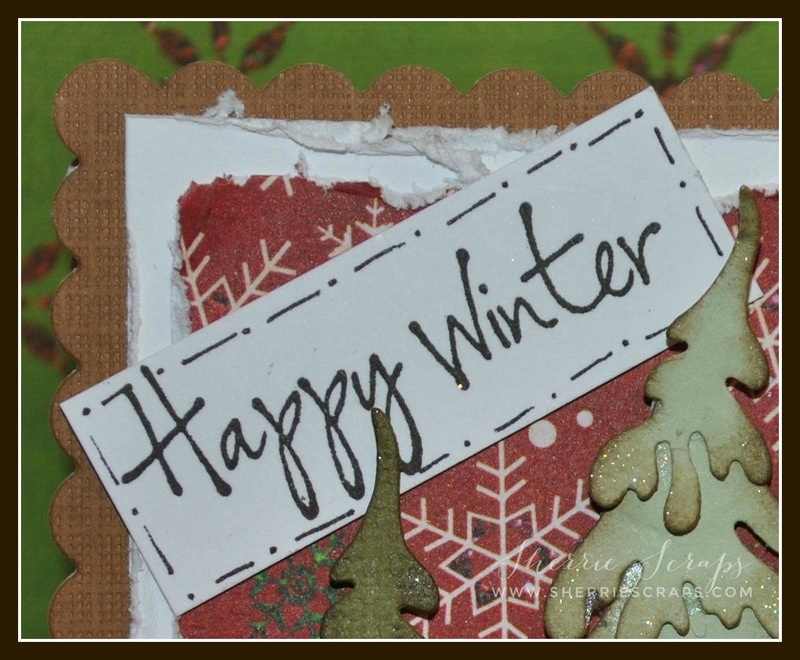 The tag is stamped with the 8028 Happy Winter sentiment which I fussy cut around it, added some doodling and then adhered down. 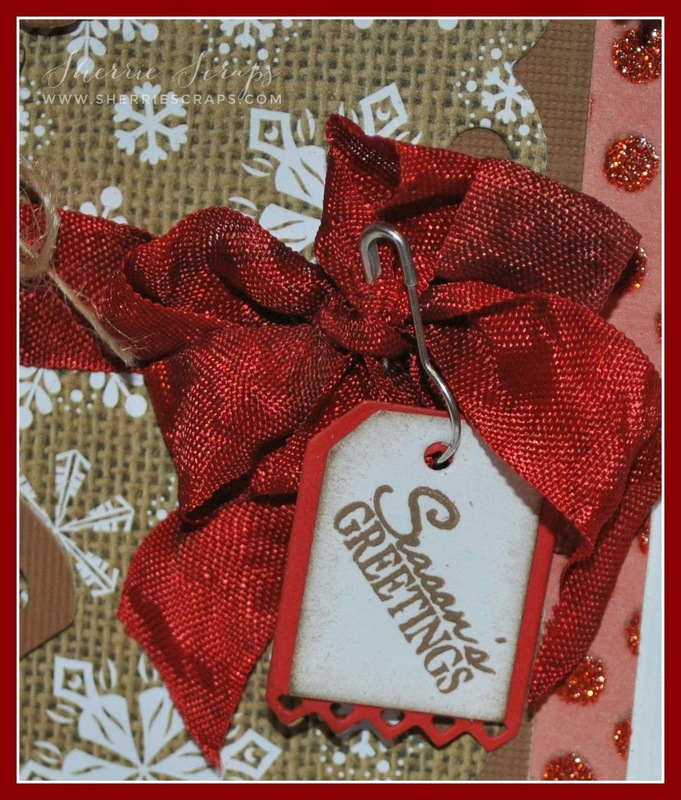 I finished my card by tying on a pretty satin double bow, jute string and little red bell.